Acclaimed filmmaker Jonathan Demme, who won an Academy Award for directing “The Silence of the Lambs,” passed away in April. For at least 30 years prior, he resided at the grand Emery Roth-designed Central Park West co-op the Alden. 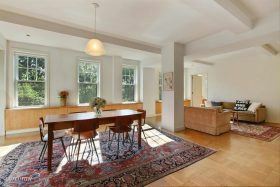 According to city records, his longtime Upper West Side home has now sold for $2.4 million, after just 13 days on the market.